From one of the truly preeminent historians of our time, this is a landmark book chronicling the French Revolution. 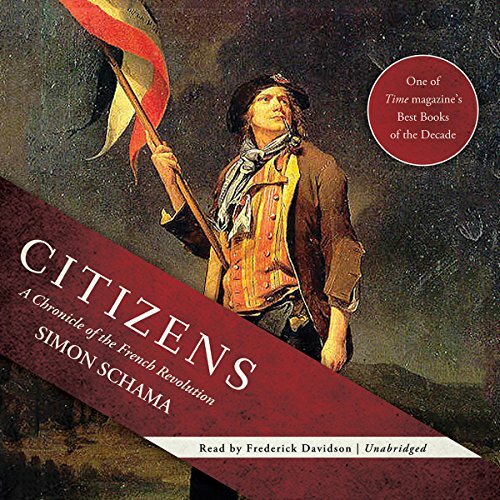 Simon Schama deftly refutes the contemporary notion that the French Revolution represented an uprising of the oppressed poor against a decadent aristocracy and corrupt court. He argues instead that the revolution was born of a rift among the elite over the speed of progress toward modernity and science, social and economic change. Schama's approach, weaving in and out of private and public lives in the fashion of a novel, brings us closer than we have ever been to the harrowing and seductive French Revolution.